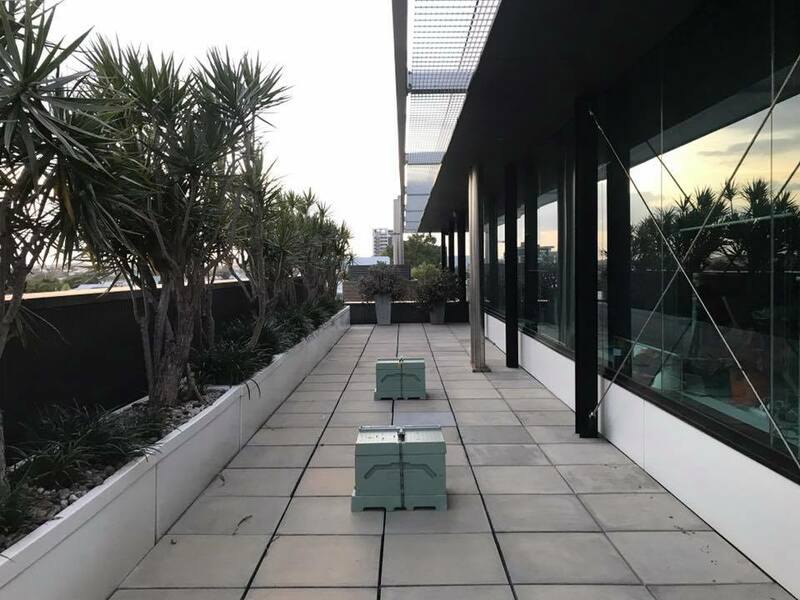 Resident on the rooftop at our Brisbane office are a colony of hundreds of thousands of honey bees. 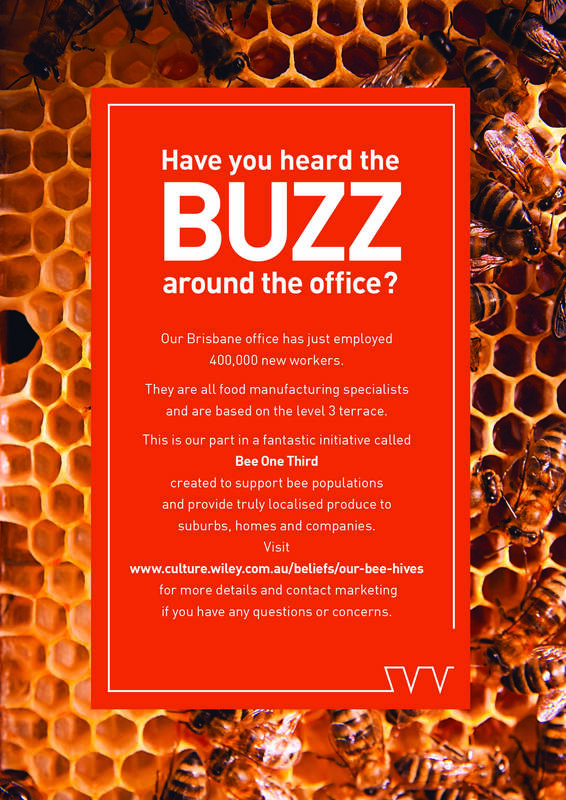 They will enjoy our insect friendly herb garden and collect nectar and pollen from the local Woolloongabba blooms. One of the great things we can learn from bees is that we all win if we cooperate. Bees contribute to over 97% of global food production. This is our contribution to a thriving bee population supporting our food industry. We are helping to increase the local bee population and to create greater awareness of the importance of the insect pollinators for our food future by hosting these hives…and the bonus is plenty of divine pure raw honey to share! There are a lot of sweet lessons to learn from keeping bees. 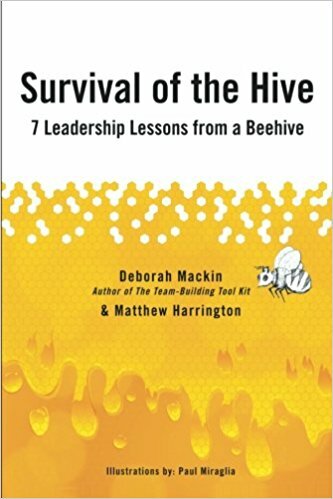 Bees work together for a collective purpose and achieve the extraordinary. Every bee in the hive has a special job – foragers, engineers, nurses, converters, cleaners, and Queens’ hands. They all know and understand what each other does and they thrive on autonomy. Bees are amazing communicators. Speaking a language of vibration, they communicate quickly, efficiently and honestly. The messages are simple and easily understood, decisions are quick and efficient, and there is no huge hierarchy between the workers and the queen–who is very much hands on. Bees plan ahead always focused on the future of the hive, building stores of food and always prepared to adapt and change roles. The hive is 24/7. If there is work to be done, the hive gets it done. They have a continual practice of self-care because it affects the effectiveness of the collective. Bees are inspired engineers. A flying machine much much more load bearing than our most advanced design and flying as high as Mount Everest. Every bee is focused on producing perfect honey to an exact standard of 17% water. There is no room for error. Quality is never compromised for speed. They maintain a steady temperature controlled environmentally friendly environment. A strong structure of wax cells that fits snugly against it’s neighbours on all sides and are designed to store perfectly and not spill the honey. With 5 eyes they are alert and have the perfect environmental scanning. Bees never attack each other. Ego is not a feature of honeybees. Their first duty is to the hive. They will defend the tribe by death. No decision is made with the individual in mind, always the hive. Bees do what they love. The Law of Precession states that for every action we take there is a side effect arising at 90 degrees to the line of our action. Bees spend their lives flying from flower to flower to collect nectar to make honey so the hive can thrive–their purpose. Their higher purpose is to pollinate the flowers! The processionary benefit of bees doing what they love, is that along the way, our food system is manifested.